I have studied Class 1 to 10th at orissa. Then after i studied intermediate degree and PG at Andhra University, Visakhapatnam. But my nativity is andhra pradesh. Am i elegible for APPSC GROUP 2. i ll come under locs or non local please clarify…. I am from Odisha, but my MIL is Telugu, can i apply for this? sir i am pursuing b.tech final year… am i eligible for groups or not….? Sir present pursuing students are eligible are not if in case final years they are eligible? 2018 open university degree people eligible or not. which post or eligible ? how many posts i will eligible ? 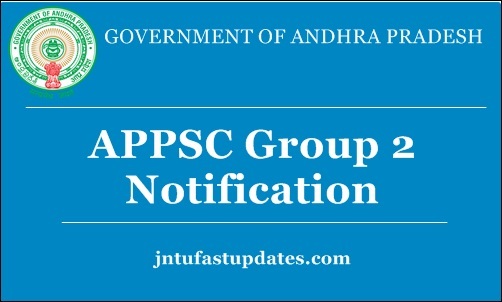 Group 2 notification official website lo unda? I cant seem to find it. Any help would be appreciated thanks. Did pharm.D interns are eligible or not for group 1,2,3 examinations? Please give me a response!